It is with heavy hearts and deep regret that Soundwave Touring has to announce that the impending Devildriver tour of Australia has been cancelled. I have Pneumonia and I'm restricted from flying for at least 2 weeks. So unfortunately we have to cancel our Australian tour. I respectfully apologize to all our Australian fans, Six Feet Under; Darkest Hour and the folks at SW touring who worked so hard to put this tour together. 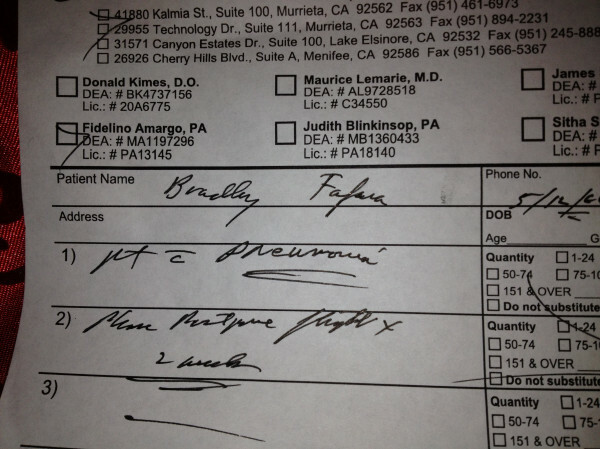 And just to prove he's not faking it, Dez tweeted his doctor's certificate, saying "you don't want this doc note!" Ticket holders can go back to the point of purchase for a refund.